Prochlorperazine buccal tablets are used to treat the feeling of nausea, which is brought on by conditions such as migraines, vertigo, and inner ear problems. The tablets’ active ingredient, prochlorperazine, prevents vomiting by blocking the activity of dopamine receptors in the area of the brain that initiates nausea. 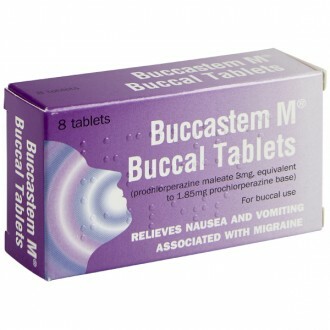 Buccal tablets dissolve in the mouth, so are popular among patients who cannot, or prefer not to swallow medicine. Nausea is caused by imbalances in the vestibular system. This is a series of fluid chambers and nerves in each ear that controls the body’s sense of balance. When the brain detects conflicting information being relayed by the vestibular system and the eyes or muscles, it triggers the feeling of nausea. This is why irregular motion such as that on a plane or boat can lead to nausea. This type of nausea can affect anyone, but those who experience migraines may be much more susceptible. Prochlorperazine is a type of drug called a phenothiazine. Only a low dose of prochlorperazine is used to control nausea; at higher doses, this same medicine is used to treat psychiatric illnesses. These tablets may cause drowsiness, so should be used carefully if you plan on driving or on using motor skills otherwise. Prochlorperazine buccal tablets are placed in between the top gum and the upper lip. Leave the tablet in place, and allow it to dissolve. This will take one to two hours. As it dissolves, the ingredients are absorbed into the bloodstream. More of the medicine will be absorbed if it remains in one place, so refrain from moving it around with your tongue. If you wear dentures, find any comfortable position for the tablet in between your lip and gum. Take one or two prochlorperazine tablets, twice a day. Do not exceed this amount. If you have forgotten to take a tablet, you can take it once you remember to do so. However, if it is almost time for your next scheduled dose, skip the missed tablet. Do not double your dose to compensate for the one that you have missed. Do not swallow buccal tablets, and refrain from eating until the tablet has completely dissolved. You should not take prochlorperazine tablets for longer than two days. If your symptoms do not improve after two days, consult your GP. 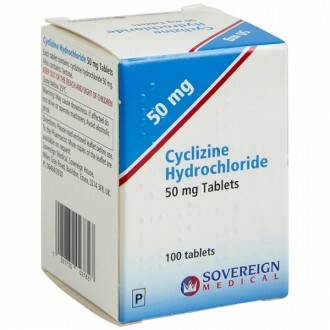 The active ingredient contained in Prochlorperazine buccal tablets is Prochlorperazine maleate. Compressible sugar (sucrose), povidone K30, xanthan gum, locust bean gum, talc, magnesium stearate and riboflavin sodium phosphate. You suffer from glaucoma, epilepsy, or Parkinson’s disease. 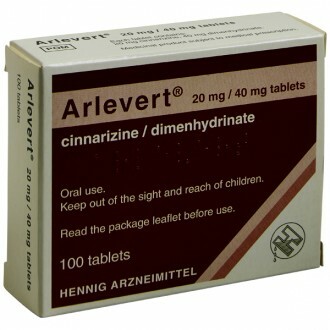 Anticholinergic medicines (such as amitriptyline or imipramine).